Have you heard of the sorcerer’s stone? The magic stone’s alleged ability was to turn anything into gold and give eternal life to its beholder. People used to dream of creating not only gold, but also precious gems like diamonds from nothing as well. Well, we can still only produce gold in particle accelerators and nuclear reactors. However, the good news is that the synthetic diamonds are something that you can buy at your local jeweler. These stones are called a bunch of names from lab-grown through man-made to lab-created. Let us take a look at the questions that might arise when it comes to this mighty type of diamonds. How are synthetic diamonds made? The fact that diamonds are pure carbon was discovered in 1797. That marked the beginning of the first serious trials to create man-made diamonds. For almost two centuries, scientists were only able to create diamonds that could only be used for industrial purposes. 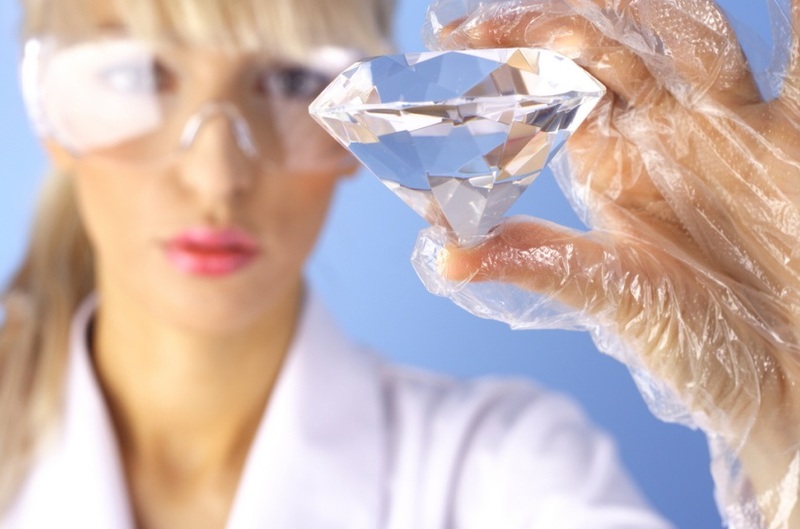 Only in the early 1990s did science reach the milestone where the creation of gem quality diamonds was made possible. These diamonds are made using a technology utilizing high pressure and high temperature. Basically, layers of carbon are put on the surface of a tiny seed diamond, thus enabling its growth. Today we are able to grow high quality man made diamonds of weights up to two carats. How do man-made diamonds differ from natural ones? In essence, synthetic gems are identical to natural ones from a chemical, physical and optical point of view. That is, the naked eye cannot tell the difference between them. 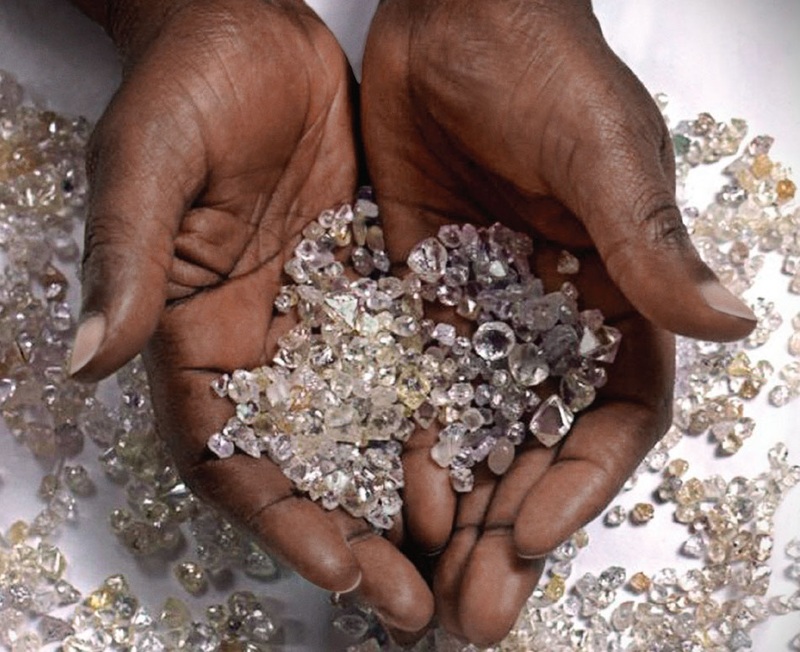 Obviously, the perceived value of natural diamonds is entirely different. For that reason, it is necessary to separate these two kinds of gems. Luckily, it is possible to tell lab-grown diamonds apart using different tests. Also, most companies will engrave these stones with laser. Diamond certificates contain information regarding the diamonds origin as well. How are lab-grown diamonds priced? Too many people tend to believe that the cost of the diamond only covers its mining or creation costs. The equation is a bit more complex. That is, we have to realize that the cutting process is equally important. Also, the distribution of diamonds also costs a lot. There might be synthetic diamonds that are cheaper than similar natural stones, but this is not always the case. When it comes to colorless diamond, the price tags of man-made and natural gems will be close to each other. How easy it is to buy a man-made diamond? We could say that it all depends on your pocket. All jokes aside, it depends on what kind of diamonds you are looking for. The technology available today makes the production of yellow and green diamonds relatively easy. This causes an abundance of high quality colored diamonds on the market. However, the demand for colorless diamonds is always higher. These are harder to produce, so your chances of finding one are weaker. What are the drawbacks and the benefits? It is a common concern that many natural diamond go through conflicts until they show up on the shelves of jewelers. Synthetic diamonds are as far from being blood diamonds as possible. If you want to make sure that your chosen stone has never seen a war, you should choose a synthetic diamond. One of the arguments against lab-created diamonds is that natural diamonds usually have a history of their own. This might seem true, because these diamonds are still newcomers to the market. However, you have to realize that most of the natural diamonds available do not have a history of centuries. 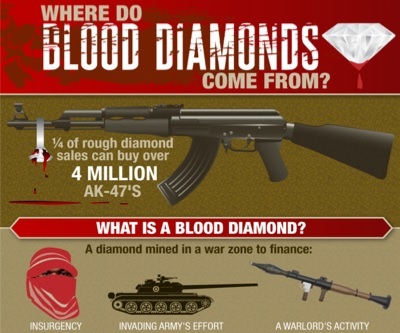 Our aim is to eliminate the existence of blood diamonds from unethical sources completely. We are a group dedicated to monitoring diamond supply and researching new technologies to fight the flow of illicit diamonds.